Meghan Markle and Prince Harry took the stage in Sydney to help wrap up the 2018 Invictus Games. The Duke and Duchess of Sussex, who are currently on their first royal tour as a married couple, delivered moving speeches at the closing ceremony of the sporting event, which Harry founded four years ago. Prior to attending the close ceremony on Saturday evening, the royal couple watched the Invictus Games' wheelchair basketball finals. Meghan was first of the couple to take the stage at the closing ceremony, sharing how much it meant to her to be a part of the Invictus family. It was just over a year ago, at the 2017 Invictus Games in Toronto, that Meghan and Harry made their first official joint appearance together as a couple. "Good evening everyone!" Meghan, wearing a green Antonio Berardi tuxedo dress, told the crowd as she took the stage. "It is such an honor to be here tonight celebrating all of you and supporting my husband in the Invictus Games, which he founded four years ago." "In that short span of time, the Games have evolved into an international platform of some of the best athletics and sportsmanship you could ever witness, coupled with the comradery and close net sense of community, which can only be defined as the Invictus spirit," Meghan continued. "With that said, and on a very personal note, I just wanted to thank all of you for welcoming me into the Invictus family. I am truly so grateful to be a part of this with each and every one of you." "I'm not sure if many of you know this, but a few years ago, before I met my husband, I had the incredible honor of visiting troops deployed all over the world, from the U.K. to Italy and Afghanistan and several other countries," Meghan told the crowd. "In traveling to these military bases I was given a very special glimpse into the lives of those who serve our countries, I was able to see the unshakeable bond between servicemen and women on the ground together, but at the same time feel the palpable longing for family and friends while deployed." "Once home, the need for that anchor of support from loved ones, especially given how much it accelerates recovery and rehabilitation, is immeasurable," Meghan continued. "I've been reminded of those memories here. During this year's Games in Sydney I've witnessed the most amazing support networks that surround competitors, and I've had the privilege of meeting several of these family and friends." Prince Harry later took the stage to address the crowd, which included David Beckham. "Hi guys. Good evening, Sydney, and those watching around the world," Harry began his speech, saying "thank you" to those who helped make these Games possible. "And to the competitors goes the biggest thanks of all, you have once again left us humbled and inspired by your example, by your determination, by your service, and by your sense of humor." 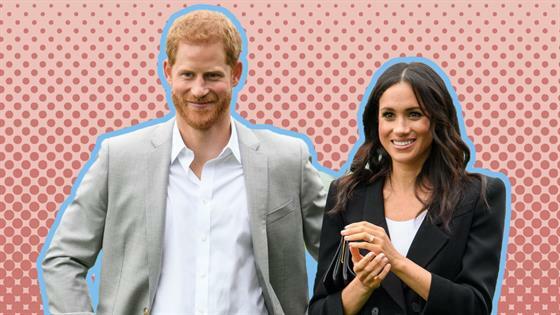 Shortly after Harry and Meghan arrived in Australia last week, it was announced that the royal couple is expecting their first child together.